See bitbox 2.0 in action! Check out this video to see bitbox 2.0 in action! Version 1.2 of the bitbox firmware has been available for a while. 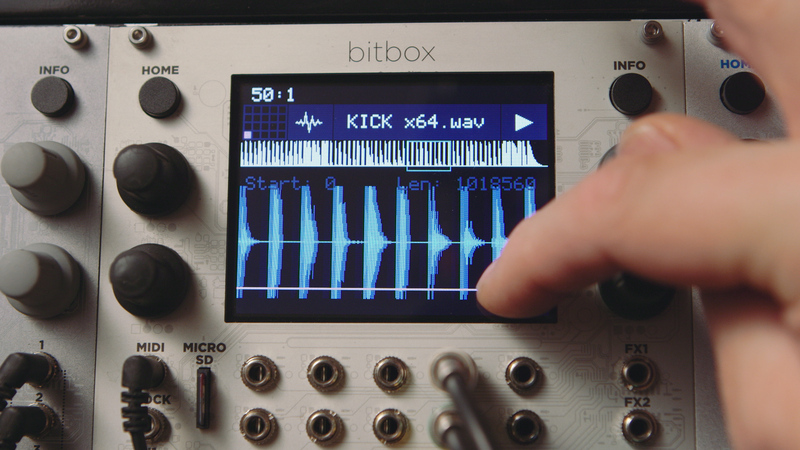 Now you can learn how to use all of the new features in the updated Bitbox User Manual v1.2. Download it today and learn about Slicing, Atomic mode, and more. Are you ready to learn how to use all of the features of fxbox? Then we have the document for you! The fxbox User Manual is now available for download on our support page. Check it out and learn how to restore factory presets, trigger an effect via MIDI input, modulate effect parameters via external inputs and more. Become an expert fxbox user and download the user manual today! If you would rather see fxbox in action, check out the fxbox Demo Video also on our support pages. 1010music LLC is excited to announce the release of our latest product: fxbox! fxbox adds new creative possibilities to Eurorack, with its straightforward touch screen interface, high-quality 24-bit audio path, and innovative sound manipulation capabilities. This 26HP eurorack module was shown at NAMM and lauded for adding refreshing performance effects options to the eurorack format. 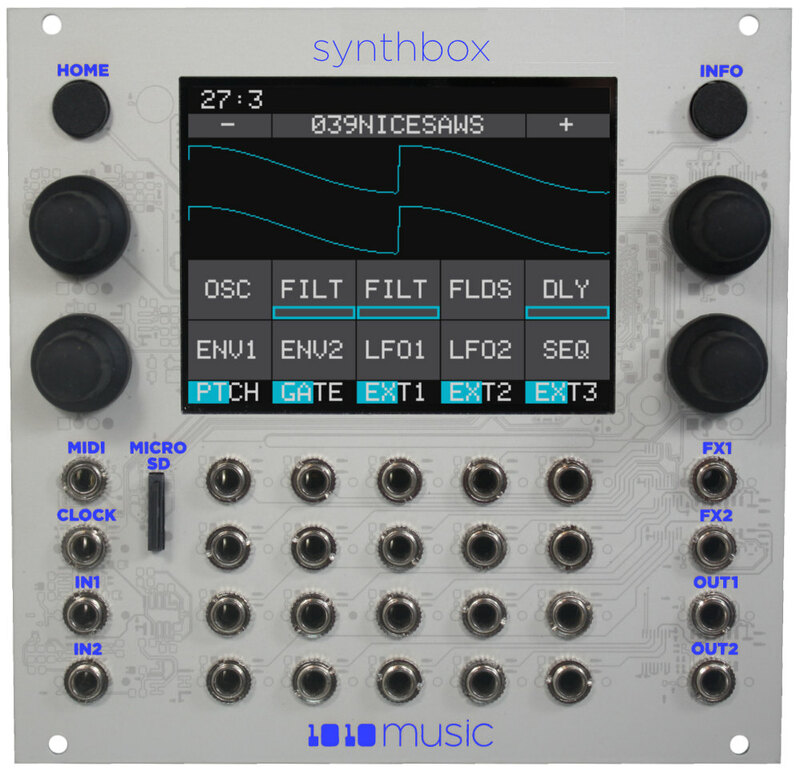 fxbox combines 16 realtime effects with control via touch screen, continuous knobs and external modulators. An XY pad lets you control three different aspects of the sound at once to let you morph your sounds in realtime and an internal step sequencer provides yet another way to create tricked out, remix effects. 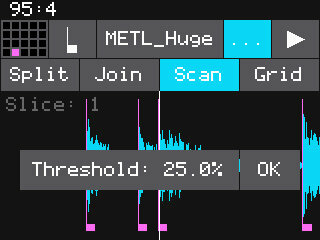 Create complex layers and builds using the touch screen to isolate individual effects. fxbox breathes new life life into pads and other sounds, and can add alternate timing and variety to rhythmic parts. It also can use external clock or MIDI to sync with other modules and external devices. It comes with 50 great-sounding factory presets to get you started, plus it offers a huge number of user presets. Learn more about fxbox in our press release and buy it now at one of our dealers or here on 1010music.com.